In this new era, "quality" is considered to be the mantra for success in every sector of life. This is the same with regard to seminary education. We at the MSOT Seminary aims to provide the highest level of quality education to our seminarians in order to equip them to meet the challenges of the new millennium. The Seminary Education helps to mould the life of a seminarian to make him successful in both his spiritual and ministerial life. 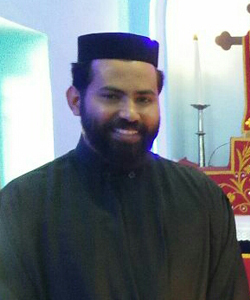 Our vision at the MSOT Seminary is to equip the students with biblical, theological, liturgical, pastoral and societal understanding of the Malankara Jacobite SyrianOrthodox Church.We believe that our seminarians will be well armed withsufficient knowledge and skills to meet the challenges that are awaiting them in their parishes and contribute to the growth of the Church.